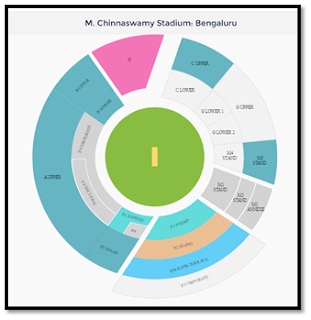 Bengaluru, February 17, 2017: BookMyShow today announced that the season pass for the upcoming and highly anticipated 2nd India vs Australia test match, to be held from March 4-8, 2017 at the KSCA M. Chinnaswamy Stadium, is available for purchase exclusively across all its platforms till February 20, 2017. The 5 day pass is priced INR 500 upwards and will enable the ticket holder to watch the entire test match through the use of just a single pass. After February 20th, BookMyShow will begin the sale for single day tickets starting at INR 100 only. The hospitality tickets (P2 Stand and P Corporate) will not only offer the best views of the grounds but also include assigned seats and a complimentary food coupons. BookMyShow, (Bigtree Entertainment Pvt. Ltd.), is India’s largest online entertainment ticketing platform that allows users to book tickets for movies, plays, sports and live events through its website, mobile app and mobile site. Founded in Mumbai (India) in 1999 and launched in 2007, BookMyShow is now present in over 350 towns and cities across India, currently meeting the entertainment demands of millions of customers.